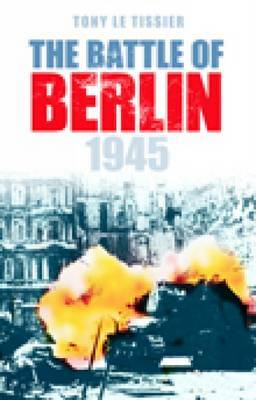 The Battle of Berlin was a conflict of unprecedented scale. The Soviets massed 1,600,000 troops for Operation Berlin, and but Marshal Zhukov's his initial attack floundered and was so costly that he had to revise his plans for taking of the city when Stalin allowed his rival, Marshal Koniev, to intervene. The fight for Berlin thus became a contest for the prize of the Reichstag, fought in the sea of rubble left by Allied aerial bombardments, now reduced further by the mass of Soviet siege artillery. Meanwhile, Hitler and his courtiers sought to continue the struggle in the totally unrealistic atmosphere that prevailed in his bunker, while soldiers and civilians alike suffered and perished unheeded all around them.